Pacific Symposium 2012 is coming very soon!!! Kobayashi Sensei's lecture will be on 11th, and the post-symposium workshop will be held on 12th and 13th! 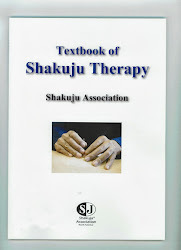 We, Kobayashi sensei, Hara sensei and other members of Shakuju Association are getting ready for the symposium! We are looking forward to meeting you all attendees in San Diego! Let us explore the world of acupuncture together!